I sketched every morning in a notebook a small circular drawing, a mandala, which seemed to correspond to my inner situation at the time. 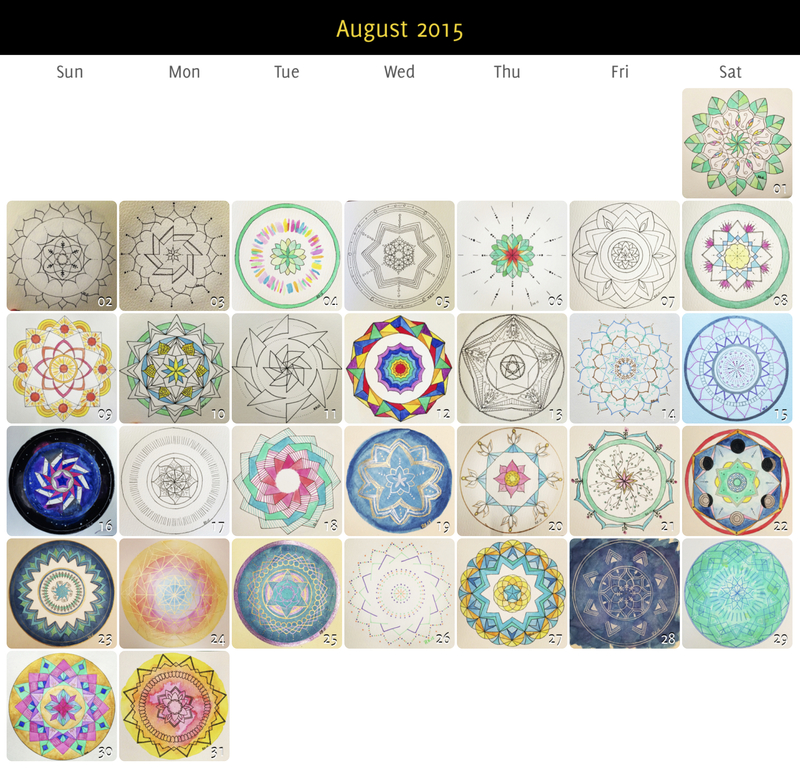 With the help of these drawings I could observe my psychic transformations from day to day…My mandalas were cryptograms…in which I saw the self—that is, my whole being—actively at work. 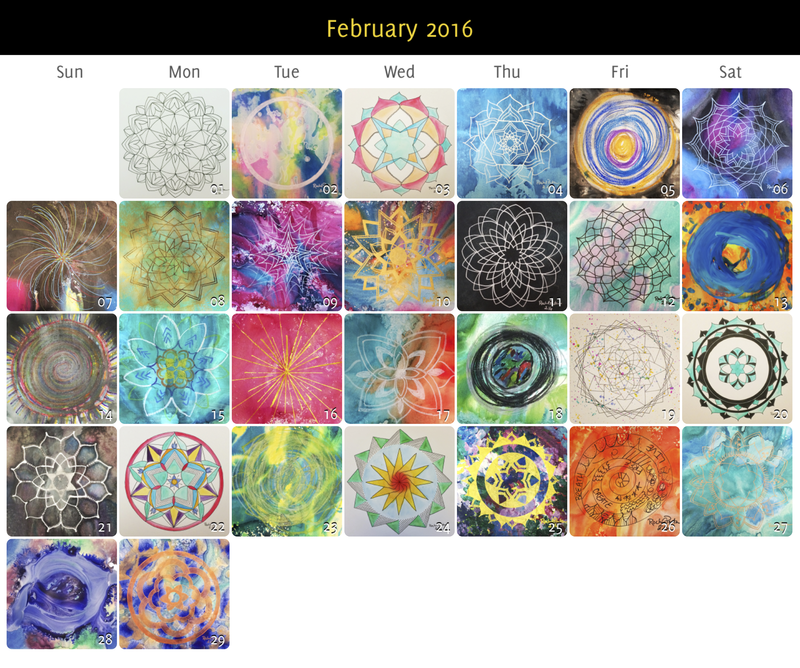 I have created a mandala every day for 366 consecutive days. 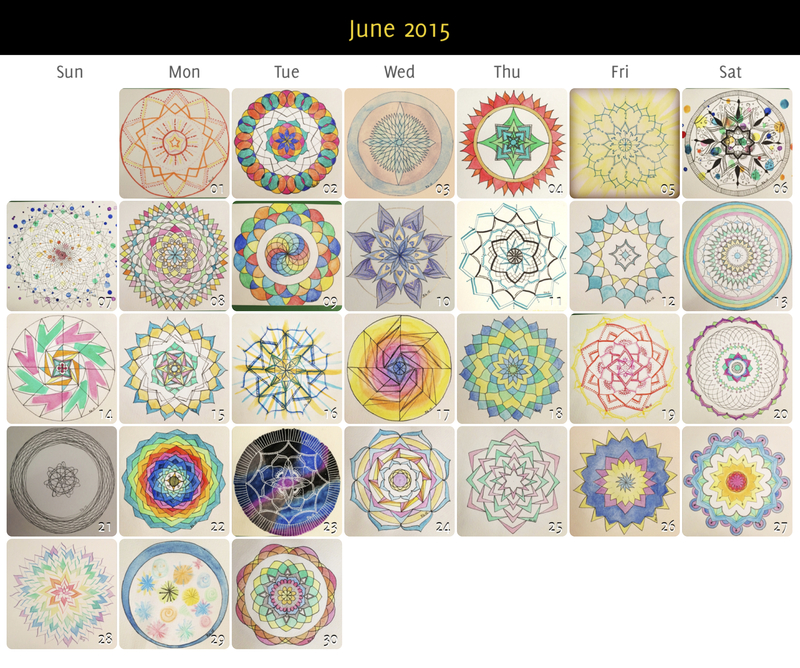 When I first started I was creating 5-6 mandalas a day, so I have actually created many more than 366 mandalas. 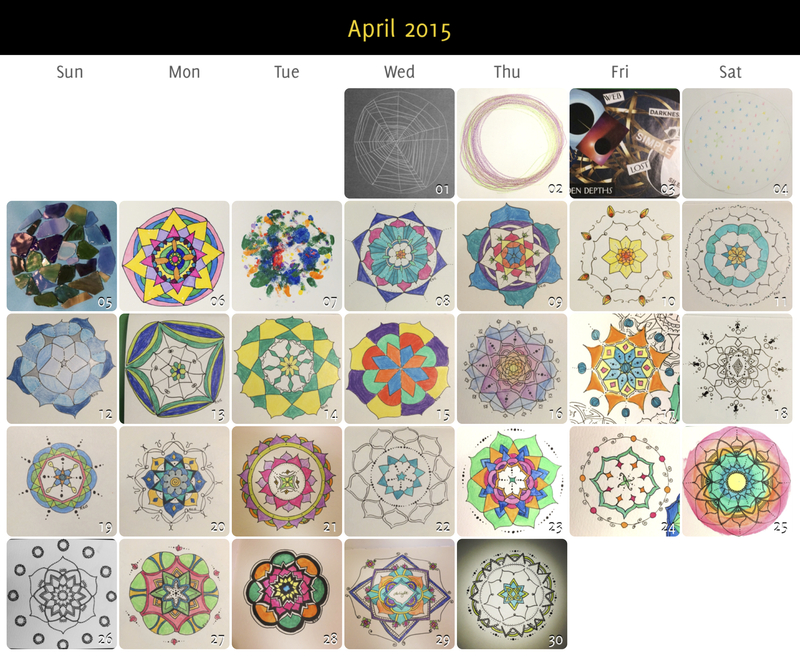 The initial plan was to create a mandala a day for 30 days in April 2015. My job at the medical device company ended March 31 & I wanted to complete a project to celebrate the freedom in my schedule I was about to experience. 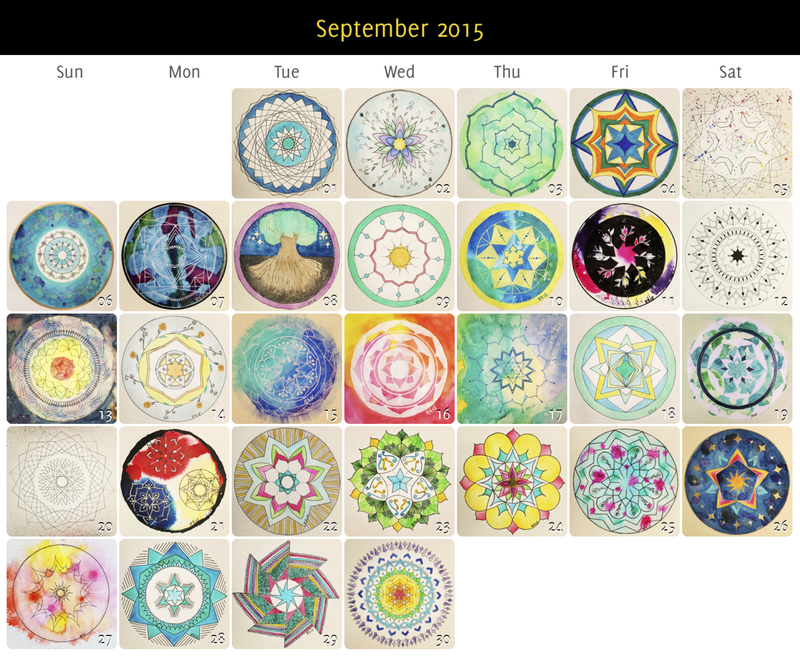 The last time I posted about my mandala project on my blog I was completing the #100dayproject and I was on 50/100 mandalas. Oh, how far I have come since then! 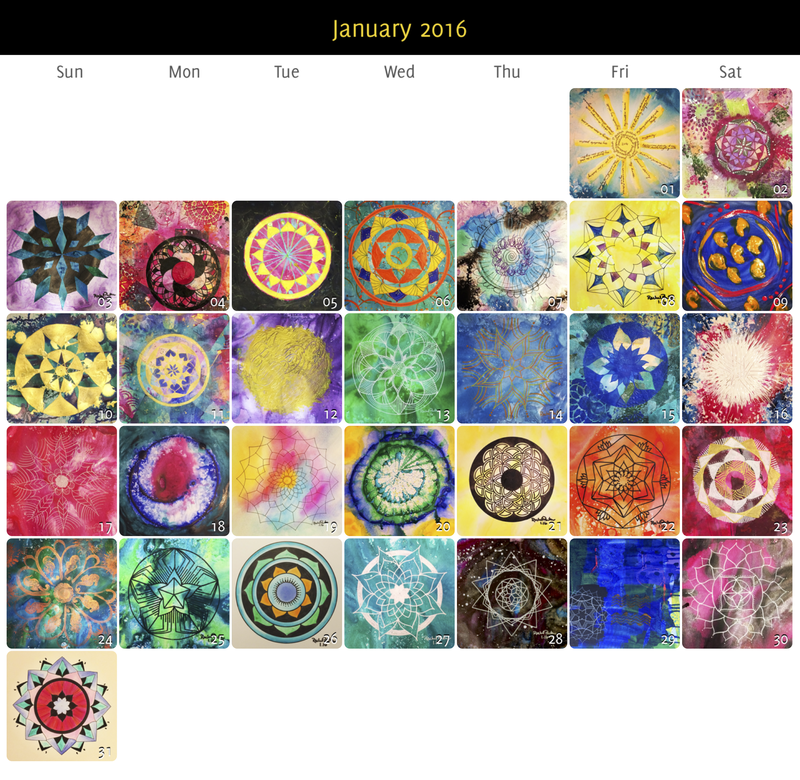 I traveled to Bali and attended a Mandala Retreat in August 2015 and my mandalas shifted and changed following that experience. 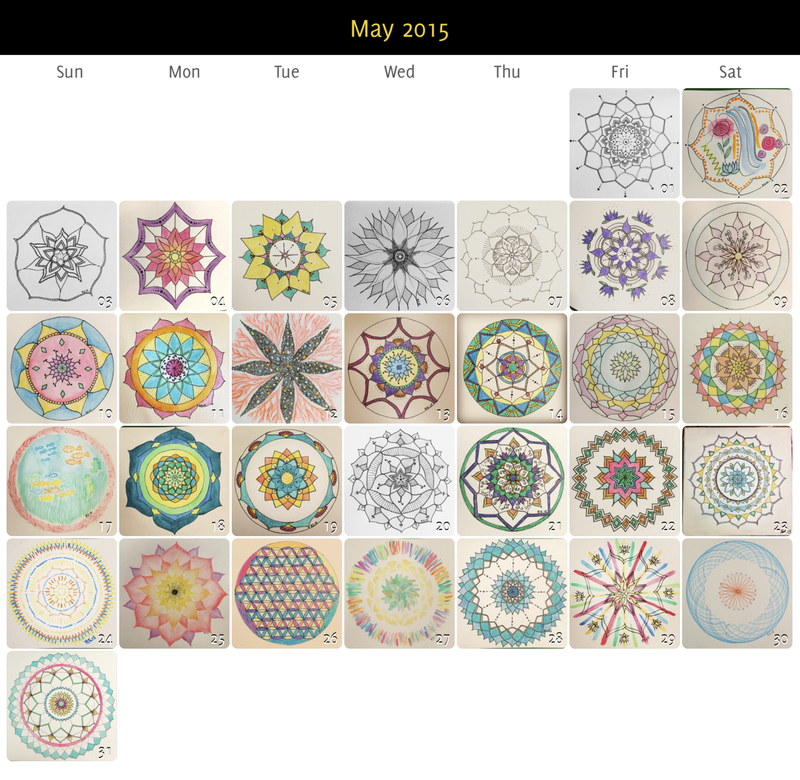 Then I wrote my Master’s thesis on using the creation of mandalas as an intuitive practice. 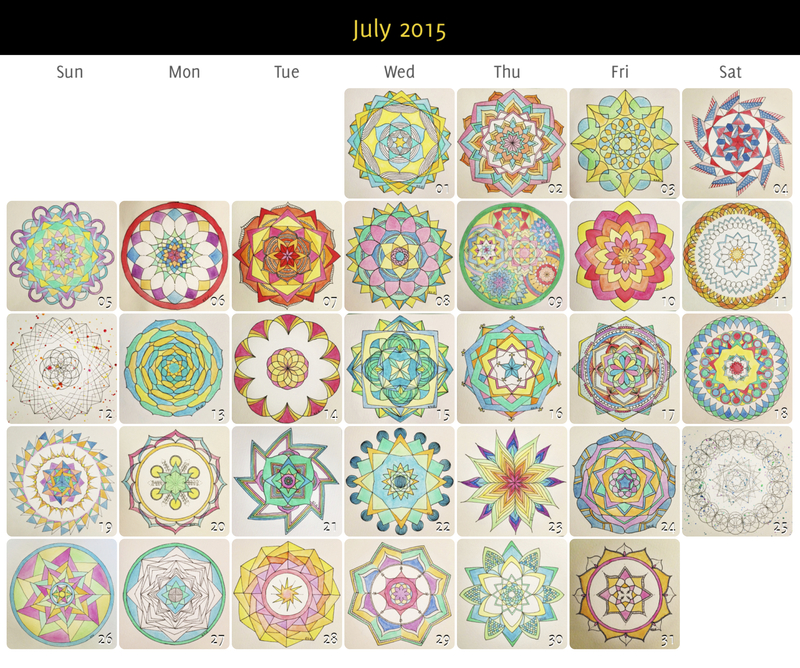 I have even started an art business and teach people to create mandalas. 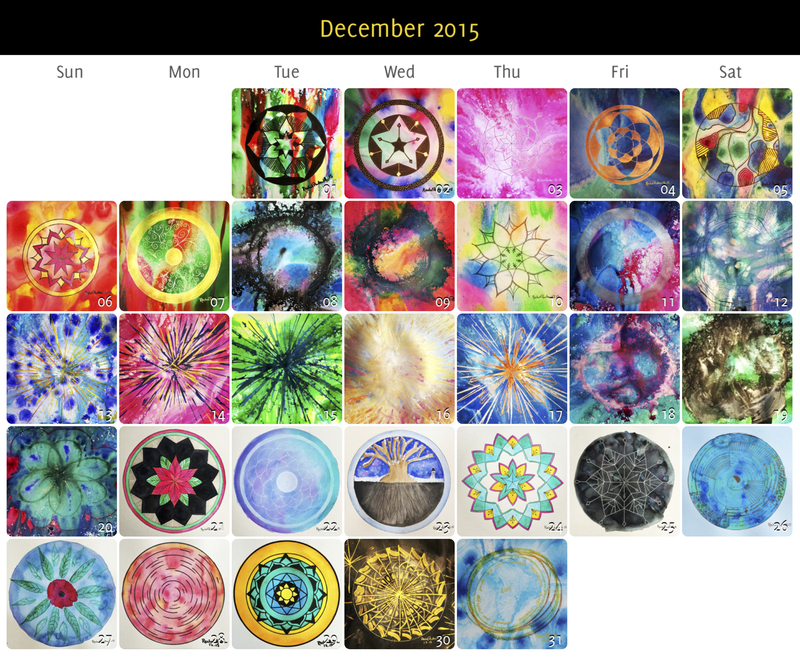 Now that this project is complete I will be selling some of the mandalas I have created in my Etsy Shop. Please let me know either in the comments or in an email (brilliantaquastudios@gmail.com) if you have a favorite mandala you would like made available! I am graduating with my Master’s degree in counseling psychology this spring and will be attending another Mandala Retreat in the south of France in June. I cannot wait to see where this experience leads me next! 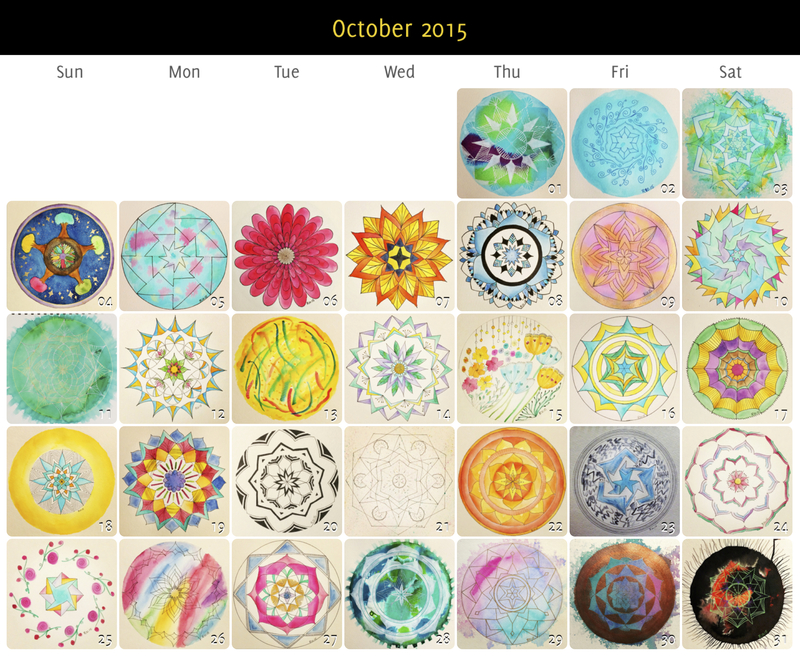 Note: I used Project 365 Pro to track my mandalas, create the calendars, and to create a slide show for my thesis presentation. I used a variety of materials to create my mandalas ranging from watercolors & sakura micron pens to acrylic & india inks and oil pastels. 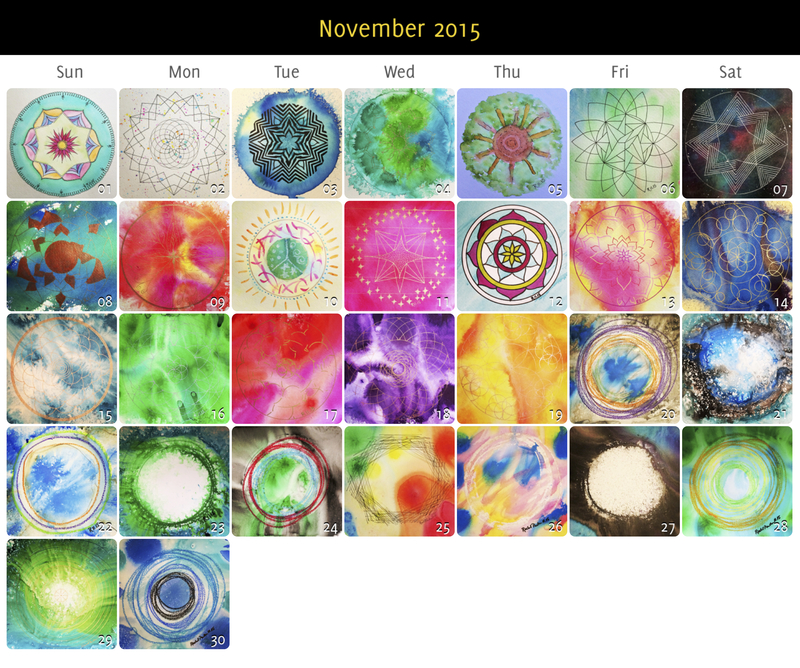 They are also range in size from a 5 x 8.5″ watercolor journal to 11 x 14″ mixed media paper.